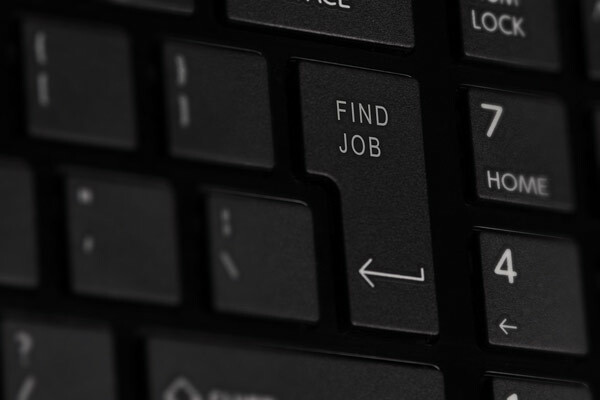 Looking for your first job after college can be overwhelming, especially in a tight job market. Many students are unsure about where to begin. It helps to think of a job search as a process that involves a series of steps. Putting extra effort into each step will help you land that first job and put you on the path towards a long, successful career. 1. Decide on the type of job you want. Vague career goals can be one of the biggest detriments when searching for your first post-graduation job. Don't waste time applying for jobs that aren't a good fit for your qualifications. Instead, assess your education, skills, experience, personality, and interests; then compile a list of jobs that are a good fit. This part of the process can even begin several months prior to graduation. 2. Use available career counseling resources. Become familiar with your college's Career Center; it can be an invaluable resource as you define your career goals and conduct your job search. Read a career coaching book, like What Color is Your Parachute, or do some career-related research online. The U.S. Bureau of Labor Statistics is a great source of information about salaries and growth potential for specific types of jobs. 3. Create a winning résumé. To put together a résumé that will attract the interest of potential employers, look at job postings and get an idea about the types of experience and knowledge that employers are seeking. Don't worry if you lack professional experience. Instead, highlight job-related coursework and include your additional qualifications, such as computer skills. When describing internships and summer jobs, focus on your contributions and initiative. Once you've decided on the content of your résumé, choose a format that is eye-catching, well organized, and easy to read. 4. Put together a list of target employers. Use online resources to create a list of companies where you'd like to work. In addition to lists like Forbes' and Fortune's Top Employers, look into industry-specific publications. You can also find potential employers by attending job fairs, registering at job search websites and signing up for on-campus interviews at your Career Center. Keep in mind that you can increase your pool of target employers if you are flexible about relocating. Find out all you can about each employer on your list by reading company websites and news articles. 5. Tailor a cover letter for each employer. Once you have a winning resume and a list of target employers, it's time to work on cover letters. The purpose of a cover letter is to you introduce yourself to employers and make them want to read your resume. Cover letters should be brief and concise, focusing on why your background, education, experience and personal qualities will make you a valuable employee. If you're sending a query in response to a job posting, tailor your cover letter to the job description. As you search for your first job, don’t become discouraged if it takes longer than you expected. There's a lot of competition out there, especially for entry-level positions. Also, remember that your first job does not have to be your dream job. Keep an open mind and think of it as the first rung on the ladder of your career. Sarah Fudin works in community relations for 2U Inc., an education company that supplies universities with the resources to go online. Sarah currently works with the University of Southern California on their Master of Education online and online social work degree programs, the George Washington University on their MPH degree, and Georgetown University on their Master in Nursing programs. Sarah is a graduate of Lehigh University and outside of work enjoys running, reading, and Pinkberry frozen yogurt.